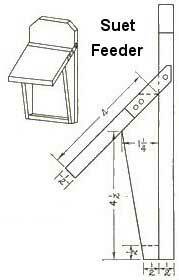 Free plans for building a suet feeder with chicken wire and wood. 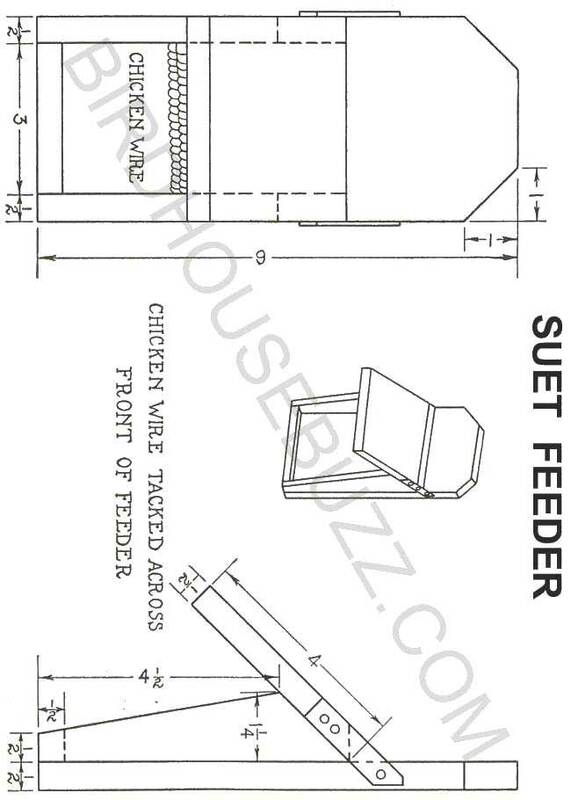 A simple suet feeder is where the birds cling to the chicken wire while eating. Seed-eating birds are readily attracted by the use of small grains such as oats and wheat. Bread crusts or crumbs, or purchased hemp, millet, canary seeds or sunflower seeds, together with the small grains and cracked corn for foods may be placed in the food shelter for the birds. Suet, scraps of meat and various vegetable scraps, such as celery, lettuce, apples, raisins, and the berries of various bushes are relished. Bluebirds seem fond of meal worms such as develop in old cereals.